Do you have a tradition getting an ornament for the Christmas tree each year? Me too! 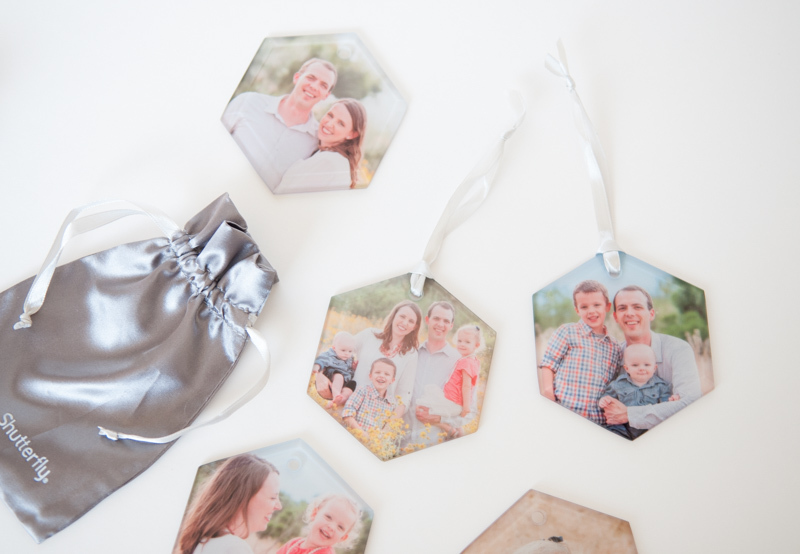 I’m so excited to introduce a beautiful and memorable option for an ornament: glass ornaments from Shutterfly! They are such a lovely addition to your holiday that you’ll want to display them all the time – and I’ll show you how! 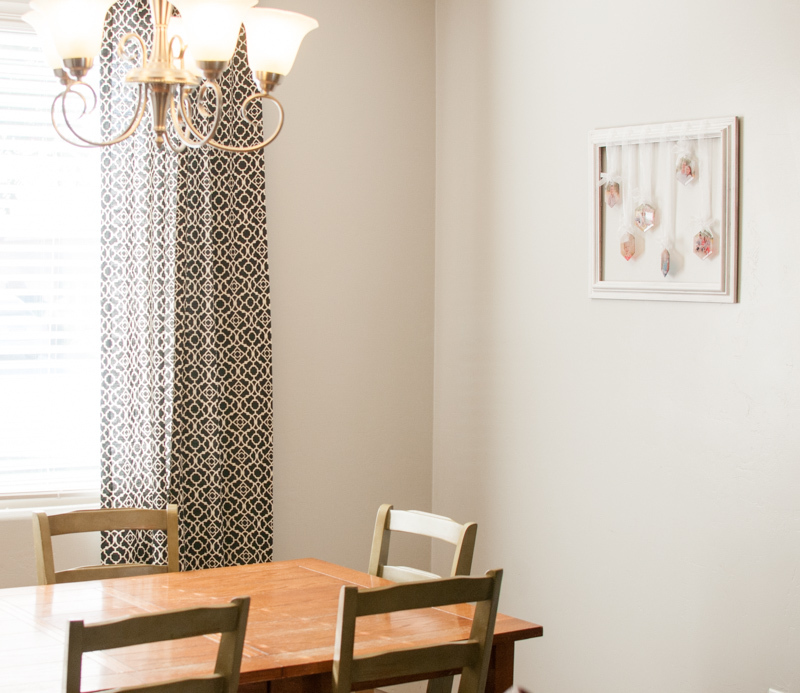 Read on to see my two ways to use these glass ornaments in your home decor! 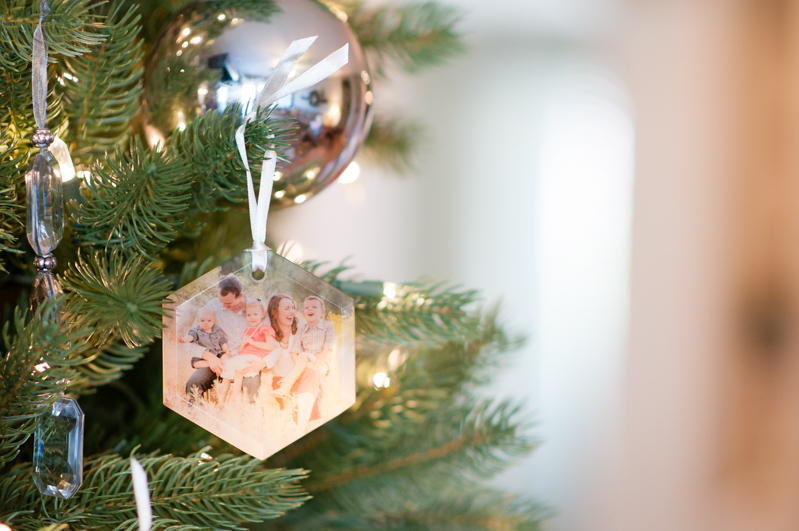 As I thought about our yearly Christmas ornament tradition, I wanted something special that used the family photos we took over the summer. We had so many good ones, and I wanted a way to display them all beautifully! 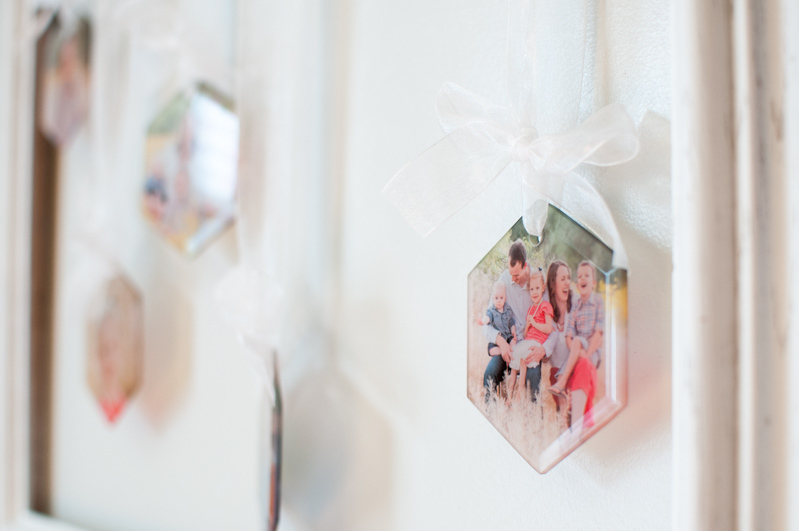 These glass ornaments from Shutterfly were exactly the thing to show off our gorgeous photos. I easily made one for each child, and then some for the whole family! I’m completely in love with how they look on the Christmas tree, all glowing and warm. 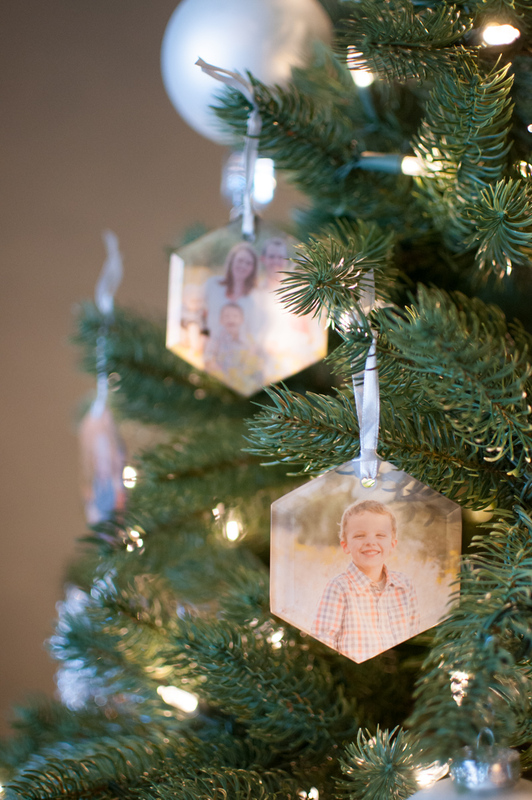 It’s a perfect way to personalize our holiday decor and record our memories this year. 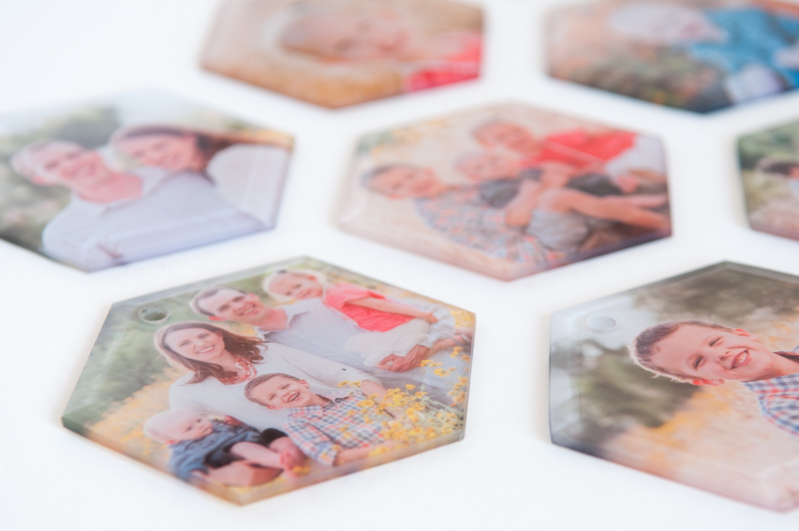 So here’s the deal on the glass ornaments: they are made of thick, sturdy glass in square, circle, or hexagon shapes. Each is three inches across, which is perfect for ornaments, and they have a beveled edge on the front. The picture is actually printed on the back of the ornament, so that side is matte compared the clear front. They look really professional, and are truly gorgeous when you hold them up to the light – they seem to glow with all the lights on the tree! 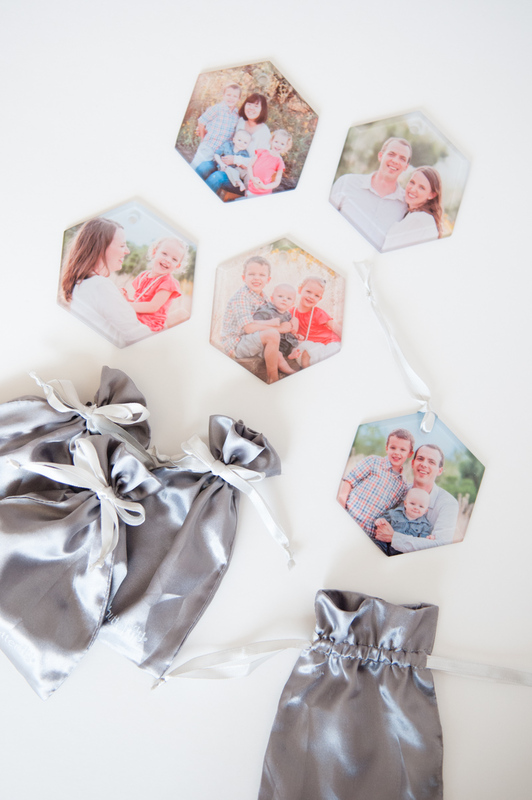 Each ornament comes with a drawstring storage bag, and a silvery-white ribbon for hanging. … and Home Decor you can enjoy year round! Here’s the thing – I loved the look of these ornaments so much, I wanted to leave them up year round! And, with a little bit of thinking, I realized I could totally enjoy a bit of the holidays all the time. These ornaments work on the tree, but they also work as a unique homer decor item and gift. 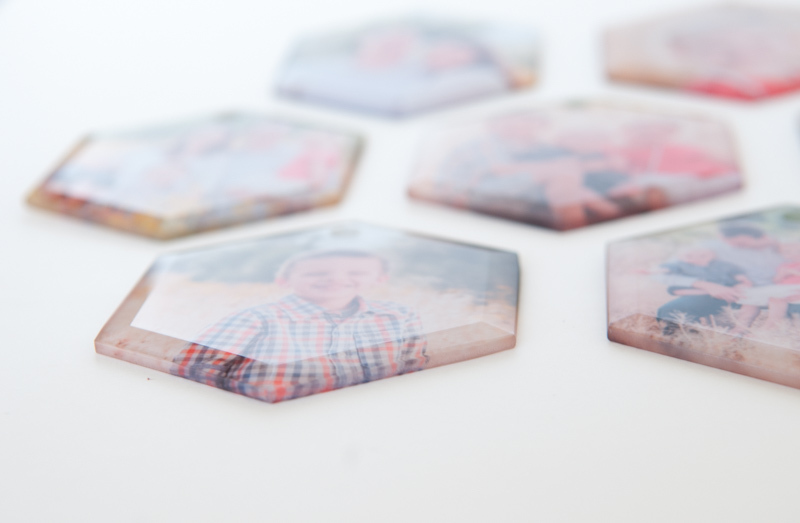 They are perfect for displaying a set of professional family photos together, or gathering candid moments of each member of your family, even if they are far away. There are lots of cute options for print the date and family name on your ornaments, but I chose the upload-your-own-design template so my glass ornaments wouldn’t have a date. This way I could have something special for the holidays, that did double-duty as “evergreen” home decor! For year-round use, I just threaded a sheer ribbon through the ornaments and hung them from an empty picture frame. It took less than ten minutes: it’s super easy and easily to customize. You could either hang the frame on the wall, or set it on the window sill to really let the ornaments glow in the light! 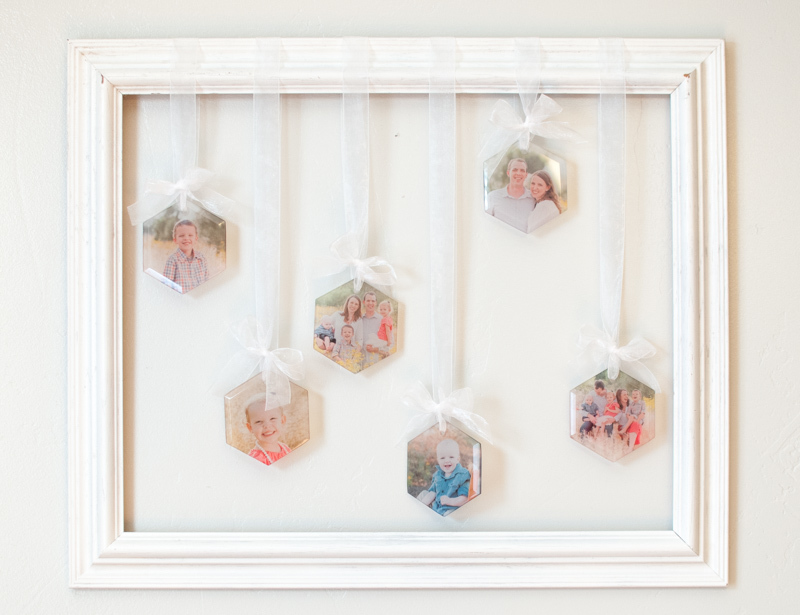 These would make a GREAT grandparent gift – you could do an ornament for each grandchild or unit in the extended family! It’s definitely a beautiful way to showcase the treasured people in your life, for years to come. Want to make your own? It’s SO easy! Just head on over to Shutterfly.com, click on photo gifts and filter by glass ornaments here. 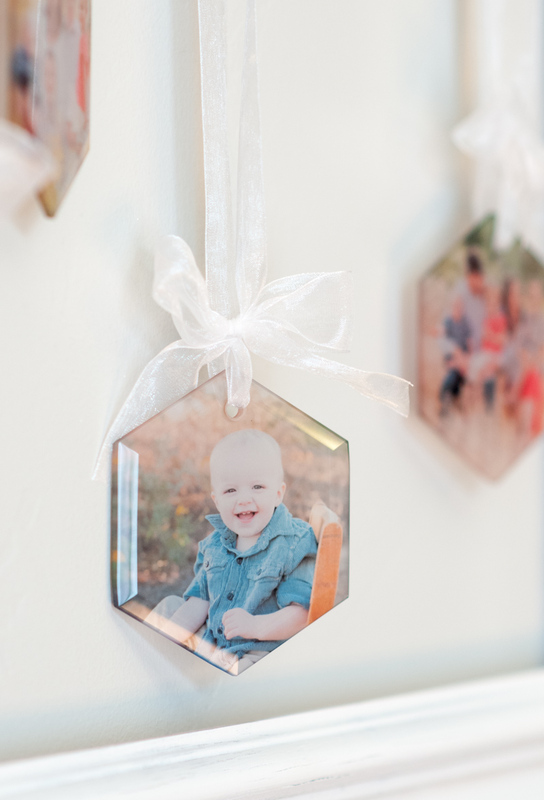 I adore seeing these ornaments in my home, and I know you will too! This post was created in partnership with Shutterfly. So cute! Love how they look in the frame! We got these for my mother-in-law last year and she loved them! Shutterfly is my go-to for photo gifts! 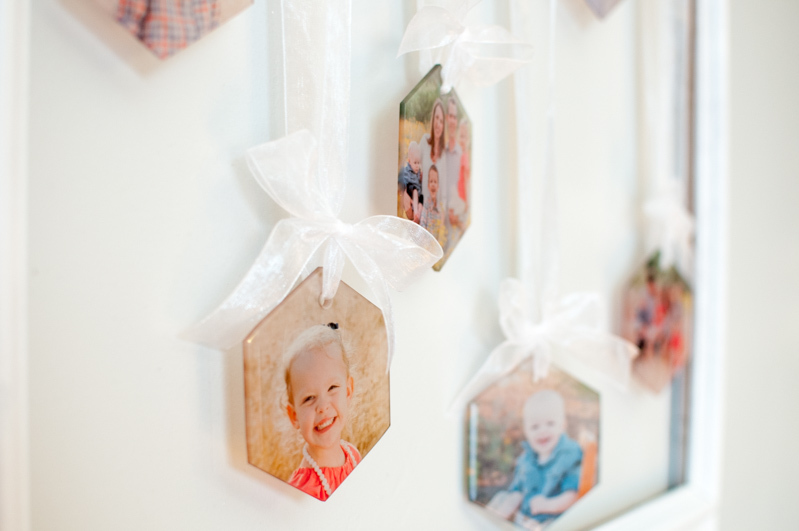 These are beautiful and what a great way to display the family photos! I love the photo frame idea as well. These are adorable! I feel like they would make great gifts for grandparents and I also love the styling of them with ribbons in frame for decorations… too cute! These are so cute! 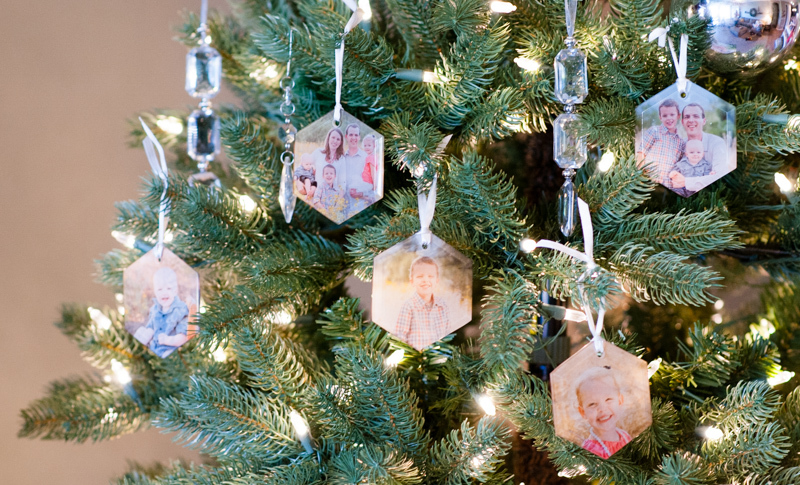 I love he idea having a few family photos as ornaments on the tree. I love these ornaments!!! It’s great that you can keep them out after Christmas. These are amazing. Seriously. Your photos of them, no surprise, are fab as well. What a great idea to leave them out all year. These make such a great gift! Plus, I love how they look in a frame! Those are beautiful! I really like them, and I think they’d be a fab collection for any tree. Those are beautiful! I love how simple and elegant they look. 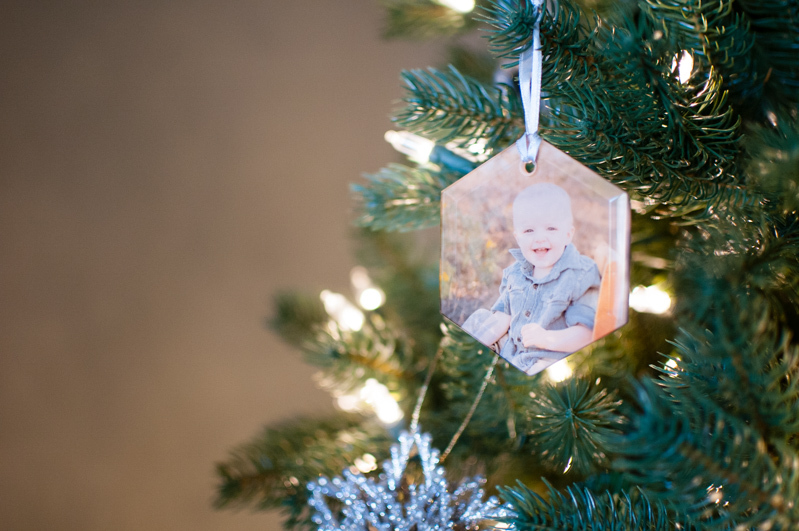 Such a great way to personalize ornaments.